Twin Flames: The Highest Pathways of Love and being Loved: EN-LIGHT-EN-MENT. To love and be loved is an infinite Precious gift. If this gift is not nurtured, treasured, and truly honored from deep within, it will dissipitate and ultimately cause more woundedness. 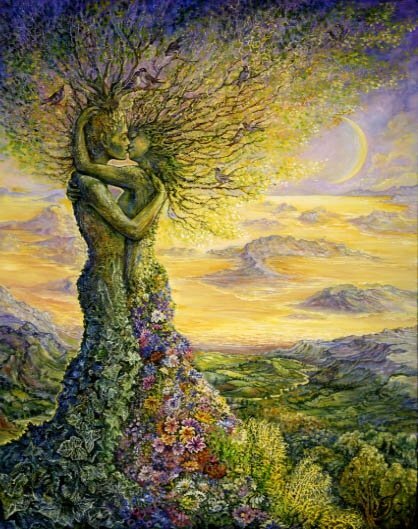 It is the sublime gift of the first coming together in love, harmony and union of the Divine Masculine in total balance and bliss with the Divine Feminine – those moments of Creative Oneness which spans the whole cosmos and brings wonder and awe. As the male found awe and wonder in the first union with the female, she felt the awe, wonder and bliss of being filled with his male-ness, and being brought into a greater expansion of awareness WITHIN, as she in turn gave back to him, the expansiveness she had just experienced, which he, in his maleness could not experience as that expansive force. There is a hidden Mystery here, that was taught in the Ancient Mystery School, and which added to the Christed consciousness and awareness, if such a union was within done with in purity, and with the purity of Love rising into a new dimensional expansion and therefore into the Higher States of God Awareness for BOTH partners. Therefore they had to be in total balance and harmony. One perfect whole, meeting another perfect whole, and therefore the awe-inspiring expansive gift, of conscious awareness expanded within and without. Such was the gift of those who trained in the profound Mysteries, that they knew, that unless the INNER man, the INNER woman, was in harmony and balance WITHIN, then they could manifest this WITHOUT with their Divine Union. In fact, one was taught that to attain the ultimate of En-Light-en-ment one had to fist understand of the depth of what it means to be a man within and without, and what it means to be a woman within and without, and then, only then, such union was possible. Without doing the INNER work, the outer could not manifest into form. In the Garden of Eden, both male and female were in the state of Innocence. They knew this type of union as they knew the Ultimate bliss. However they appreciated it not. The Fall from Grace, was in a higher sense the fall from INNOCENCE. The Minute that man started to divorce the sexual energy from the very life force WITHIN and from the Loving state of highest SOUL consciousness within, they started to feel SEPARATE from each other, and therefore separate from God. Since then mankind has sought WHOLENESS again, and most of all the male and female sought WHOLENESS in their loving relationships with each other. But God/Goddess declared that that they will only be able to return to the Higher States of Innocence, when they used their WOUNDEDNESS in order to heal themselves, and when they healed themselves, they would be find the keys and codes back to wholeness within. But the central key here is WHOLENESS and BALANCE WITHIN. Meaning, that unless one is willing to work on the INNER WOUNDEDNESS one would not be able to return to the INNER states of Bliss, and Innocence, and only when one attained this state, would one be able to bond again with the Divine Other, as he or she has worked through their own woundedness. It is in our own WOUNDEDNESS, our ability to stand naked and stripped to the core of our heart, mind, soul and Being, that we can achieve the ultimate state of awareness and also the ultimate state of Bliss. The truth is that unless one is willing to do the INNER work, the outer will not manifest into form. In Ancient Mystery Schools one was taken through a whole series of INITIATIONS (meaning one had to do the INNER work to regain the state of Innocence) before one could experience ultimate union, in DIVINE PARTNERSHIP with the Divine Other. It was a true and deep UNION, which was then of two souls, equally whole and balanced, and who had been taught the way back to experience wholeness through the coming together on ALL levels, MIND, BODY, SPIRIT AND SOUL. Therefore the physical body became a TOOL in which one could experience the physical union, but SIMULTANEOUSLY amplified, with the union of mind, spirit and soul – thus the WHOLE man and WHOLE woman. In such union then lies the ultimate EN-LIGHT-TEN-MENT, as then one could ignite the THIRD force, the God-Force, the Creative Force, that which brought the Christedness, the CENTRAL SUN CONSCIOUSNESS into the state of ILLUMINATION through union. It was no accident that Jesus had Magdalene, Simon the Magus had Helena, the Pharaoh and her consort in the beginning were the highest initiates of the Mystery School and evenly matched, thus the Cobra as sign of the state of the ENLIGHTENMENT within, and the true use of the Creative Force. Shiva and Shakti, the list goes on and on. It was union between a man and woman as in the Ultimate State and then the higher pathways of Loving Union would ignite the HIGHER SERVICE in BOTH partners and not just in one. Here two people had a greater vision, and greater purpose to work towards. They looked and worked outwards into the same direction, feeling the profound calling to highest service in tandem with each other. Walking hand-in-hand, working shoulder-to-shoulder and ever moving towards the greater Creation that they were creating together. Thus one was not less than the other. They were both EQUALLY EMPOWERED. 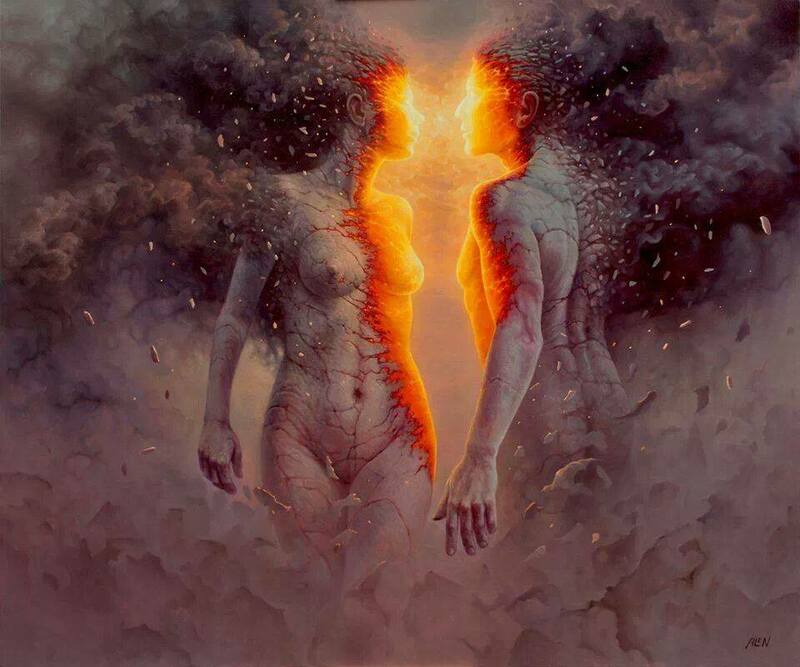 THEY ENHANCED EACH OTHER – thus bringing out the Higher Cosmic Consciousness within each other, and then AMPLIFYING this through merging of all their bodies into ONE single force. Two mighty Rivers of Life flowing into ONE, but like a double helix strand, and then the THIRD, the GODFORCE as a LIGHTNING ROD upholding and IGNITING the two, as they all merged into ONE SINGLE ENERGY FORCE. Jesus could not have done his work on earth without Mary Magdalene, for she was the force behind his force. Jesus and Mary Magdalene were in fact the characters created out of the TRUE GNOSIS, TRUE UNION, which had been known to mankind since the Garden of Eden, but only taught and understood by a very few, and most of those trained in the Ancient Mystery Schools of yore. It is the highest path of purity, innocence and the ultimate path of En-light-en-ment. It was something very much kept under wraps, secret, for most human beings work with the lower animal nature, and lower sexual energy force, and never attain the ultimate in union, because they refuse to do the inner work. Most are just ignorant and believe all that society has programmed them to believe. Only the true seekers ever attained this, and then had the discipline and focus to do the work INNER work required. Here lies an Ancient Hidden Knowledge and this awareness expands the more one understands the Mysteries within and is given them by truly SEEKING. Let those who have inner eyes – see. Let those who have inner ears – hear. Let those who are ready to receive this message, receive. The Shift in Consciousness escalated by the return of the 7th Sun and reconnection to the Central Suns' energies. In the next few months there will be an escalated shift in consciousness, the likes of which human beings have never experienced before, and it has to do with the return of the Suns, as mentioned in one of my previous articles, https://judithkusel.wordpress.com/2014/12/17/the-7th-central-sun-of-the-7th-galaxy-returns/ but also in lieu of what is happening in the inner earth. 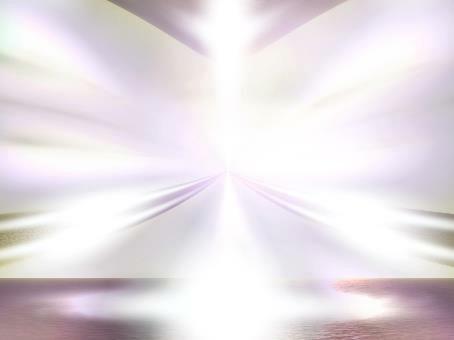 In the last years I was called upon to work intensively with certain earth energy grids of what has lain dormant for many millions of years, and is now being reactivated and rising to the fore. As I was made more and more aware, of what it is that is being reactivated and released, the more I became conscious of how this will be shifting humanity into much higher gears of life and living. Massive earth upheavals and earth changes are upon us – not to be feared, but rather to be welcomed, as this is the New Earth truly rising to the fore. The new cannot rise with the old still in place, and therefore the old is making way for the new. All of life forms part of the spiraling dance of life, where in order for new life to rise, the old has to disintegrate, dissolves, so that the new can form on the destruction of the old. We cannot go through this massive shift without also experiencing an INNER shift. In order for the Old Adam to die, the New Adam is emerging out the ashes of the old – in other words, the Old Adam Kadmon (prototype) body is making way for a much higher frequency body, more crystalline in nature, and therefore more able to hold the higher vibrational frequency bands of the New Earth. One of the reasons why so many people have had a total disintegration of their old lives and the proverbial carpet being pulled from under them, had to do with this total paradigm shift, and most, like me, have felt the old life totally disintegrating and new still forming in so many ways. With the rising to the fore, we cannot take the old emotional baggage, the trauma, the pain, the scars, with us into the new and higher way of life. Therefore we will be cleaved open to the very core so that all the old puss can be released, so that the old ways of acting, living, being, can disintegrate, be released, so that we become so light in body, mind, and spirit, that we can make that shift, without being weighed down with excess emotional baggage. Just like our personal lives are disintegrating on so many levels, the relationships, the social, the governance structures, indeed all of life and the way we interact with others will start feeling this disintegration on many levels. The old structures too no longer serve our highest soul growth and good – indeed, they do not serve the collective anymore, and the collective consciousness is therefore now moving into the higher octaves of being and so the old structures have to be reinvented. It is like reinventing the wheel, but the cosmic wheels of life, and not the earthly ones, for we are stepping into our cosmic citizenship. We have essentially been prepared for this since the Second World War and it we look back in just these last few years how we have moved into a much higher technologically advanced society, with wonderful tools like the Internet, Cyberspace, and etc. being developed and returned to the planet, then imagine how much will shift in the next few years? The New Children have the inherent genius programmed into them to truly lift humanity into the higher octaves of consciousness and Being, and they will truly bring about a revolution in technology and consciousness, which will make this massive shift we are currently going through, look like child’s play. To try and hang onto the old life and lifestyles is futile. In as much as we are willing to allow ourselves to be transformed, to be guided, to be revamped and rejuvenated, in as much will we are able to make it through this immense shift with all the tools to assist us and help us through this all. However, we have to let go of the old ways. We have to let go of all that no longer serves our highest soul growth and good and that of the collective. We cannot move into this New Earth being created now, with all the old ways of thinking, acting, relating, And Being. Therefore the best is to do that daily cleansing, and clearing, and to be open to change. No more clinging onto that which is disintegrating and rather welcoming in the changes. When our mindset and heart-set change from deep within, we focus on truly being ready to shift with the incoming massive energy tides, we will find that we are being lifted by this mighty force and it comes almost effortlessly. However if we resist at some level, there will be pain and great feelings of intense loss, of being lost at sea. It is best to remember that no changes can occur, without something giving way to create a void. Once the void or vacuum is created, the higher energies can move in. Such is the wave of change now upon us. 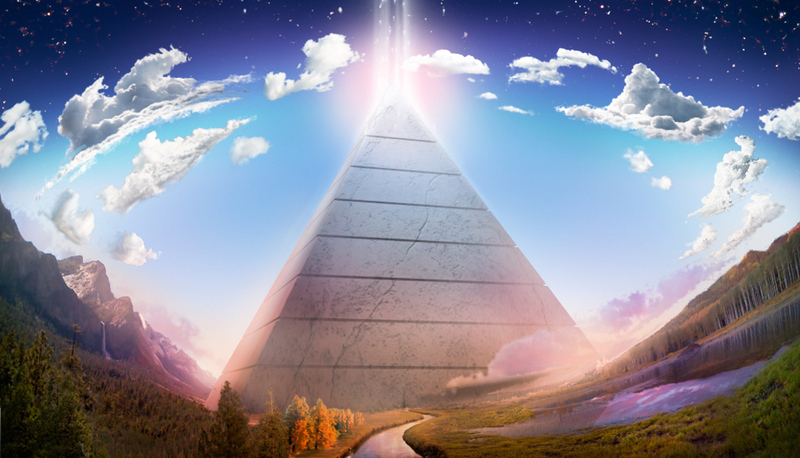 2015, truly is a year of paradigm shifts in consciousness – yet it only paves the way for more and more intense changes coming in, for the next 50 to 100 years. In a thousand years a space traveler will hardly recognize this planet – such has been the massive revamping, reforming, and reinvention of the planet and the human species. Yhe Cosmic Master Plan Unfolding – The New Human Master Race Emerging. We on this planet never were entities on our own – in reality we form part of a much greater confederation of galaxies, star systems, etc. under the Great Central Suns. Therefore when cosmic changes occur on a very grand scale in and macrocosm, this will affect life on this planet in all microcosms in existence – whether this is human life, or any other living organism and life form. What is above reflects below. What is ordained in the Greater Cosmos is relevant on Earth and this has always been so. In that last years since the Second World War, life on planet Earth has steadily been transform as massive paradigm shifts started happening. Nowhere has this been more orchestrated cosmically as for the influx of highly evolved volunteer souls from the Centrals Suns galaxies, who came in to assist with this massive change, and to truly bring their inherent genius, the knowledge, technology, etc. to planet earth. As these souls were briefed what to expect on their sojourn here (some had been here before) they knew that the danger would always be to fall into the sleep of forgetfulness and forget who they in truth are, and more than this, to never wake up to their own inherent genius and what they came in do to. 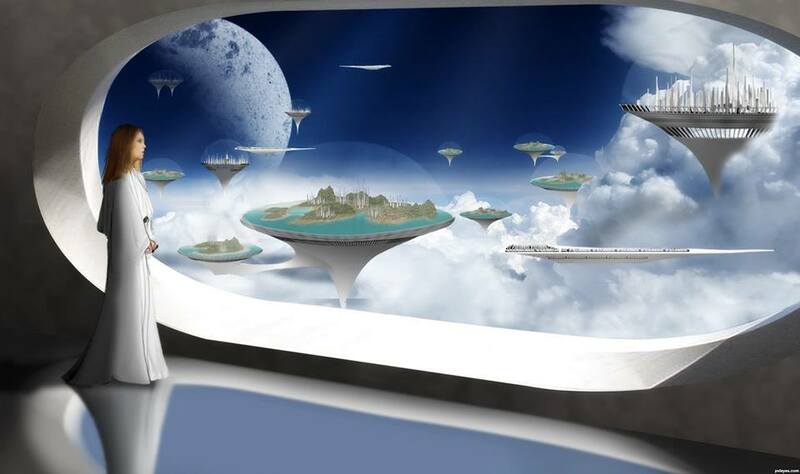 The greater Galactic Federation knew that this would happen, and therefore have always carefully monitored the situation and have seen to it that certain souls with important missions would be woken up at certain stages in their lives, so that they could be activated for Higher Service and then render such. In the process of these years, then since 1949, steadily the DNA and the Cell structure of human beings have been carefully changed, in that those who are in charge of the greater life and life forms in this galaxy, have been steadily working towards developing a new prototype of human being, who will be able to withstand the immense upheavals coming towards us now, and would be able to sustain the greater shifts in consciousness, but also, at the same time, would be the FUTURE HUMAN RACE. In that various prototypes were developed and then fine-tuned, it was found that the first volunteers had to cope against tremendous odds. They were the baby boomers of the fifties and then those of the Sixties, seventies. The next prototype which followed were those of the late seventies, eighties, nineties and then in different modifications, as their bodies were already more crystalline in structure and formation that those of the first. The next prototypes, even more fine tuned and modified, genetically, etc. were those born from 2004 onwards until about 2010/11. They form part of a new generation of Children who have never incarnated onto this planet before and are new souls. These souls were created to be able to span dimensional states, and therefore will be the new human prototype living in the fifth dimension. However because of the density of the earth, and the fact that human beings themselves, seem to not be able to understand the basic principle that they have to adjust their sciences in order to adopt higher and more advanced medical and technological advanced systems to help these children to cope with life on planet earth, and also to assist to immediately nurture and develop the genius – they are the SPECIALISTS, in other words, they have been born with the knowledge, wisdom and technology to build a highly advanced new Earth, with technology we cannot even dream of now. So, they have the ability to create the new Earth, with their inherent genius. In that is was found that the parents, teachers, the medical profession still were using primitive and outdated methods of treatments, of understanding the basic education needs of these children, and even more interesting, the innate inability of human beings to understand that new prototypes of the human race will not fit into old paradigms, old systems, and more than this old medical practices, and teaching methods. In that then the next few months and ten years, will bring in an even more advanced prototype which is the ADAM and EVE creation and therefore those of the fifth and seventh to eight dimensional state. They will have genius far beyond anything we can even understand right now and will be unlike any of the other prototypes as far as intelligence goes. In this they will be much taller as the old master races are making their genetic codes felt at this time. I have been alerted to these new Prototypes for the last few months, and all I can say is that these are true CENTRAL SUN children. They are radiant. They glow as if they have an inner Sun, and in truth they have. What truly struck me about them is that they appear to have a longer skull and larger eyes, and with it a type of more advanced body, which purely crystalline. It is of a much higher frequency than ours and even the children born in 2010 and they vibrate thus at higher frequencies and have more chakras or energy systems in their bodies activated. They also have more strands of DNA and they carry within them a more advanced and newly programmed Master Cell system which is inherent their own. These children will slowly but surely incarnate and some will be conceived in the next few months. However they will seek out only those parents who can assist their higher life passage and development – thus high frequency parents, who have a high consciousness level and who are on track with their missions and also sensitive and empowered enough to help these children to adapt to live on planet earth. That means that most children conceived will still be the older prototypes, as these new prototypes will be gradually introduced as the development of the forerunners as carefully monitored. During this time the older children will become more and more unreachable and also treatable with old educational systems which simply do not work anymore, and medical practices which are totally outdated. They will cause human beings to scientifically advance into the much higher consciousness level where science and spirituality meet on so many levels that it will transform into a new way of life on this planet. This truly is then the New Earth emerging now, and I am so inspired by this, that I stand in awe and wonder. To be able to bring in these children, to truly be able to work with them and to nurture their inherent genius is a PRIVILEDGE. Let us serve these children with open hearts, minds and immense love. Let us help them to adjust to life on this planet and truly change ourselves, so that the old can now leave us and the new emerge into being.